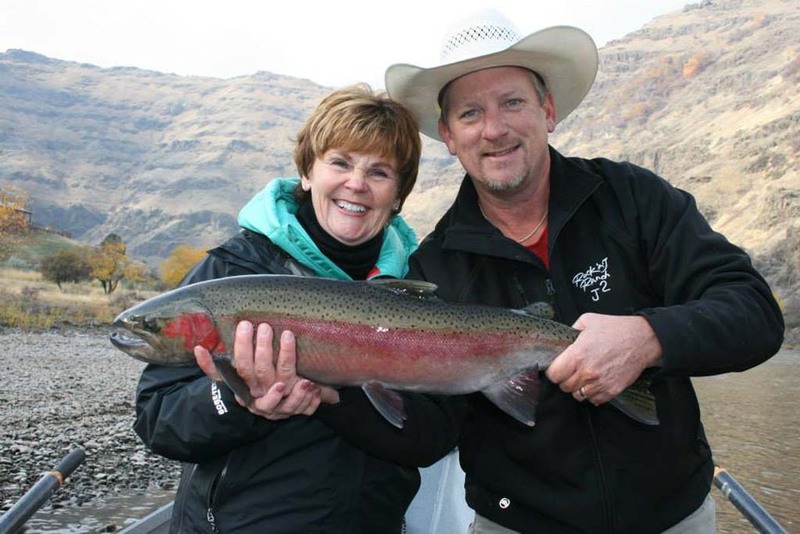 A fish story of a lifetime awaits when you hook a Salmon or Steelhead. 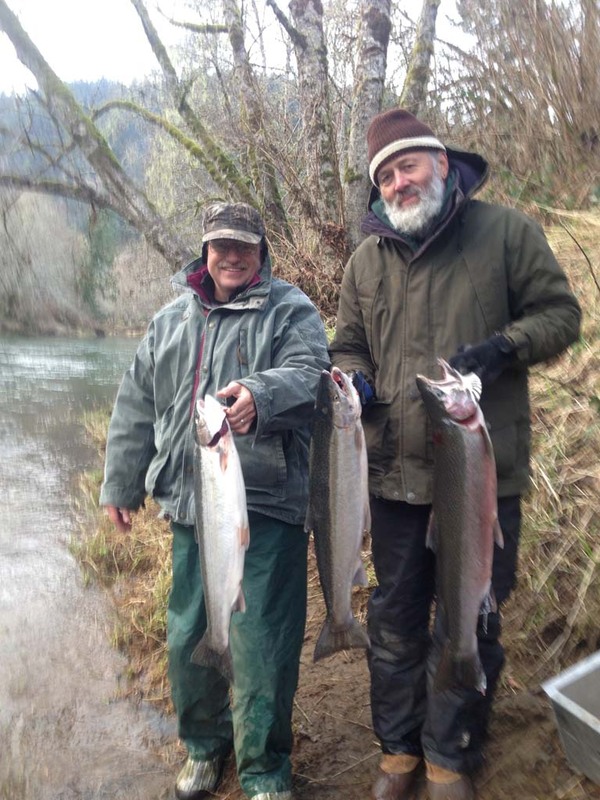 The hard-fighting, acrobatic Oregon Winter Steelhead start entering Oregon coastal rivers in late November and run through March. 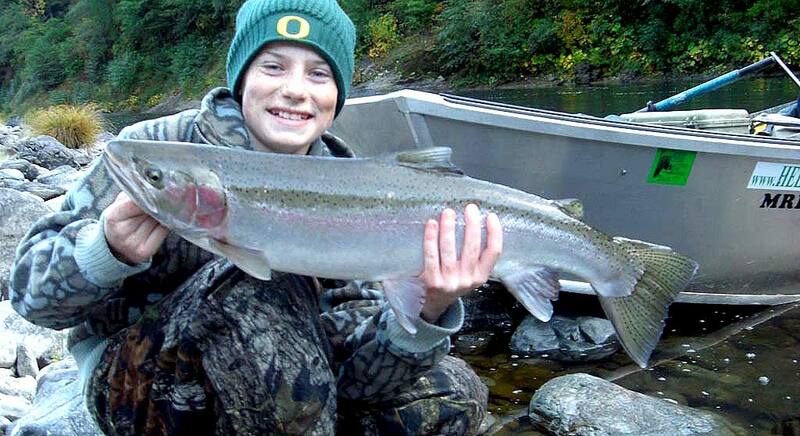 We Steelhead fish many rivers, depending on water levels and fish returns. 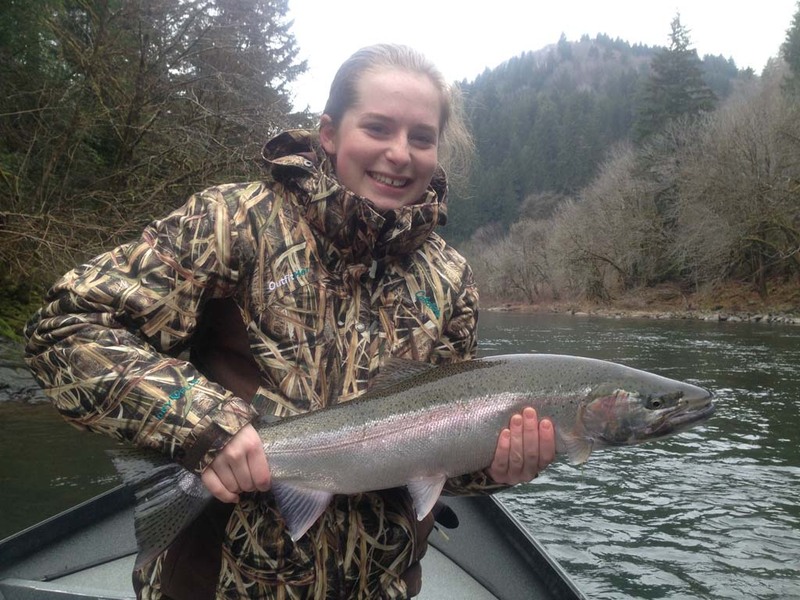 Steelhead Fishing the Siuslaw River, Alsea River, North Umpqua River, Main Umpqua River, Willamette River, and Rogue River. My father says that the best-eating fish is a Spring Chinook. These stout fish enter our rivers from April through July. 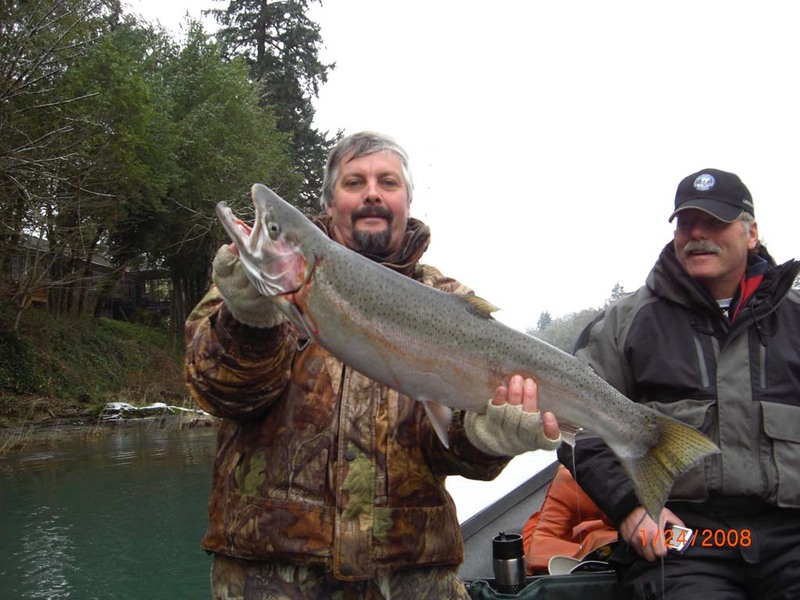 We fish the Willamette River, McKenzie River, North Umpqua River, Main Umpqua River, and Santiam River. 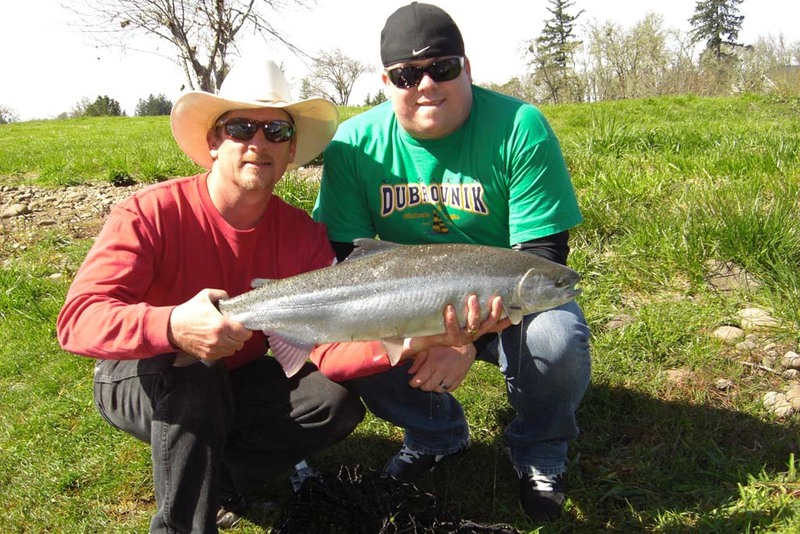 We use a wide variety of tackle, including flies, plugs and spinners, to catch the Oregon Summer Steelhead. They enter the Willamette River system, including the McKenzie River and Santiam River, in April. 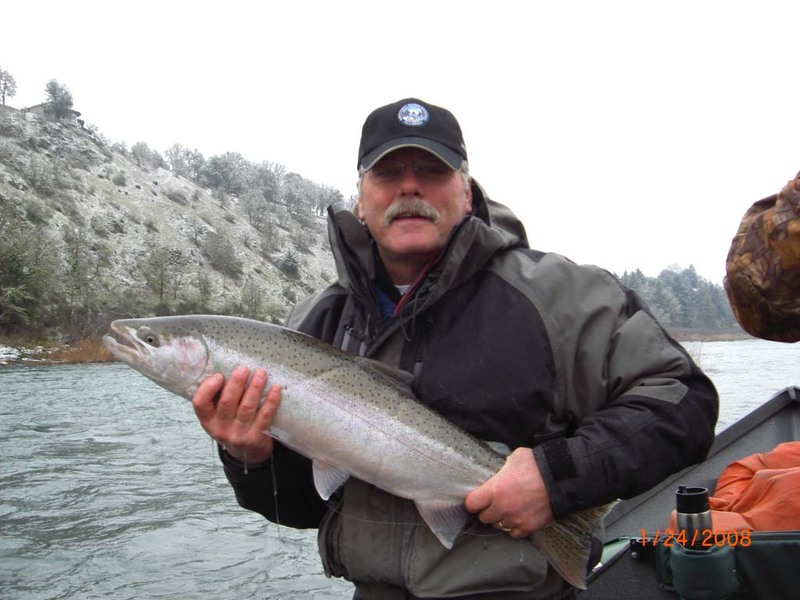 They enter the Rogue River in late August, and we can catch them into February. 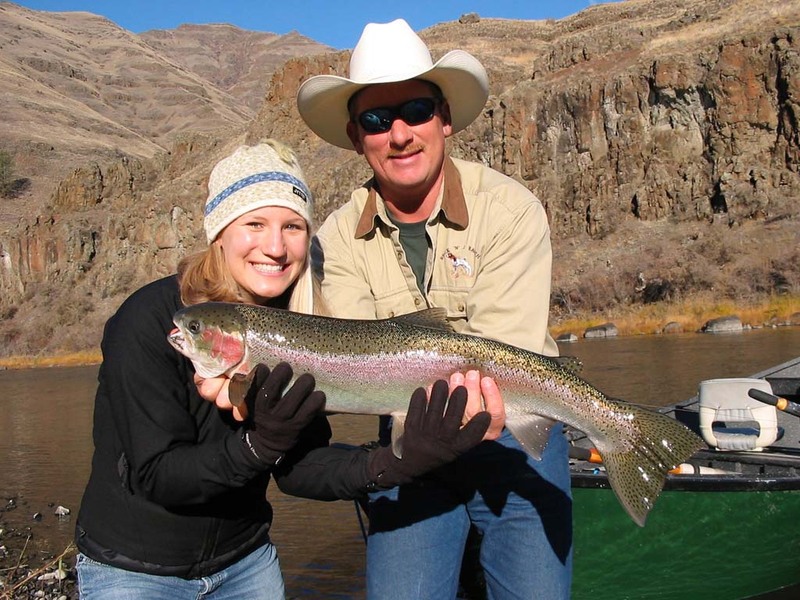 John Day River fishes best in November and December. 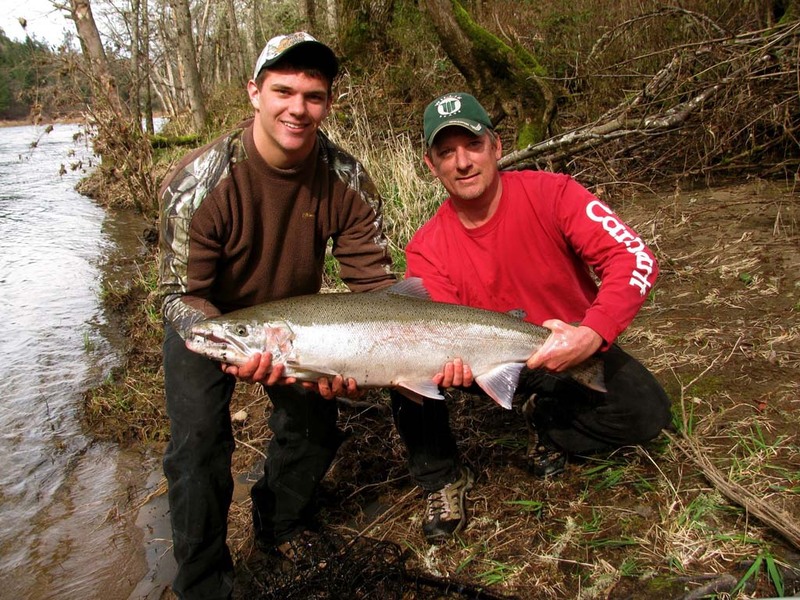 Chinook Salmon and Coho Fishing begins after the first rains of the Fall. 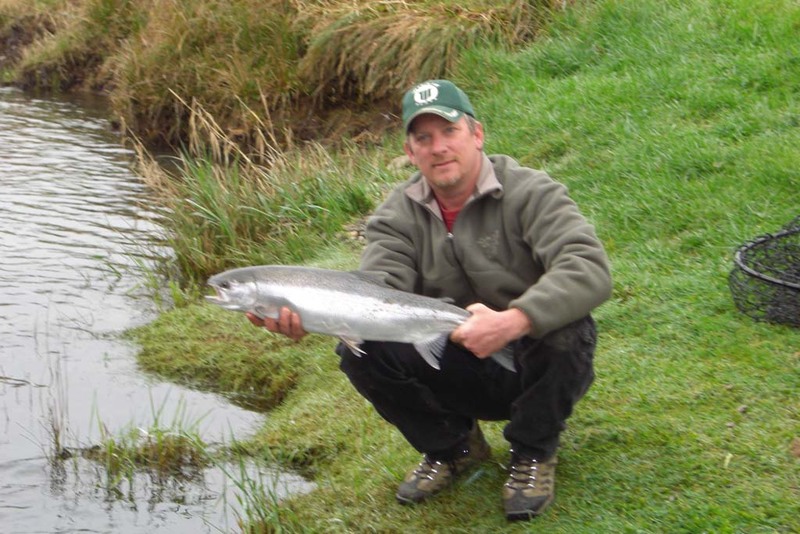 This Salmon Fishing continues into mid-December. 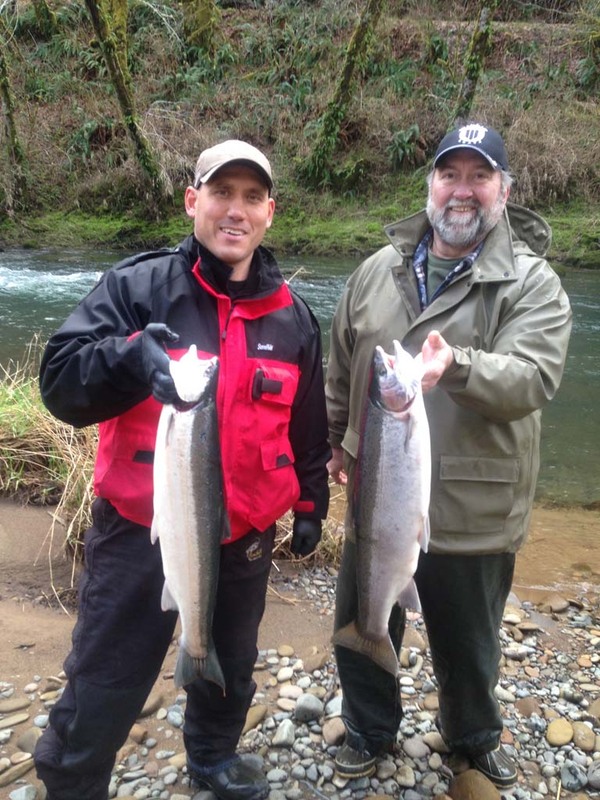 We fish the Rogue River, Siuslaw River, Alsea River, North Umpqua River and Main Umpqua River. 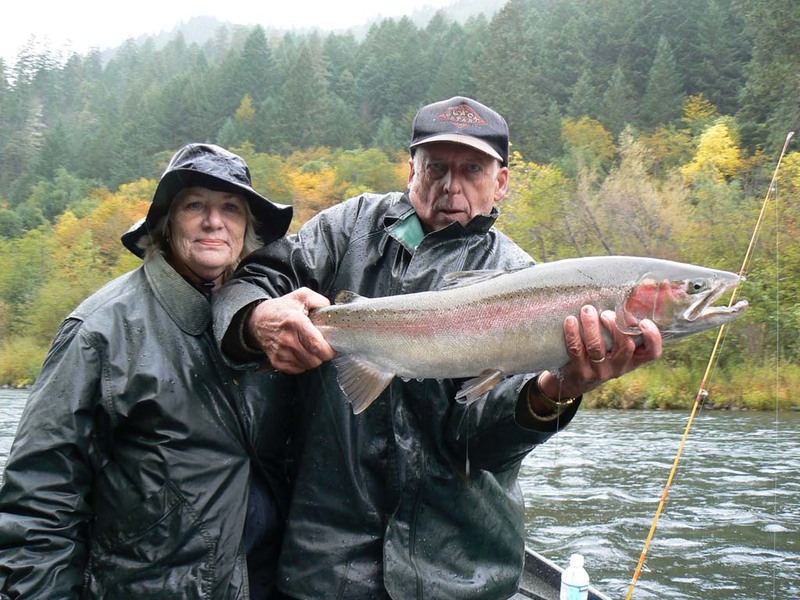 We fish for Trout, Salmon or Steelhead year-round in Oregon. 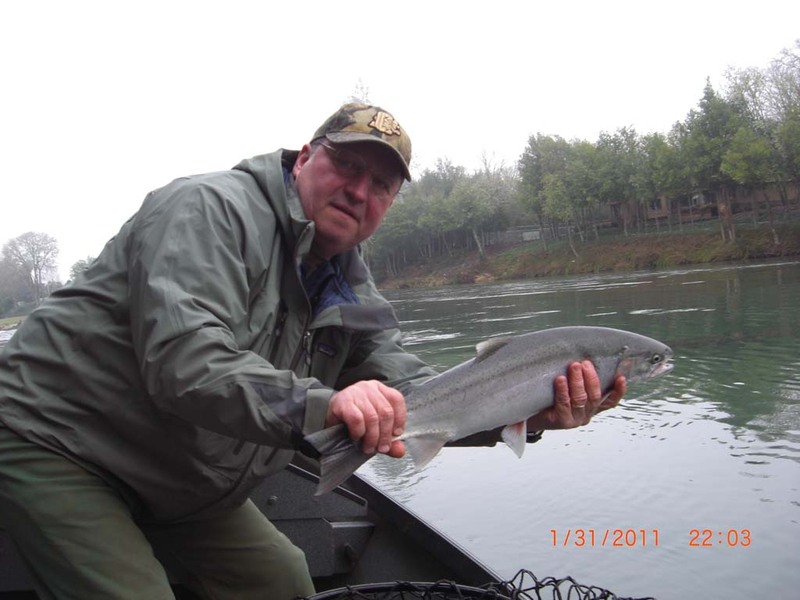 We choose the river that offers the best conditions for the date you choose to fish. These months represent the best times to fish for particular species. 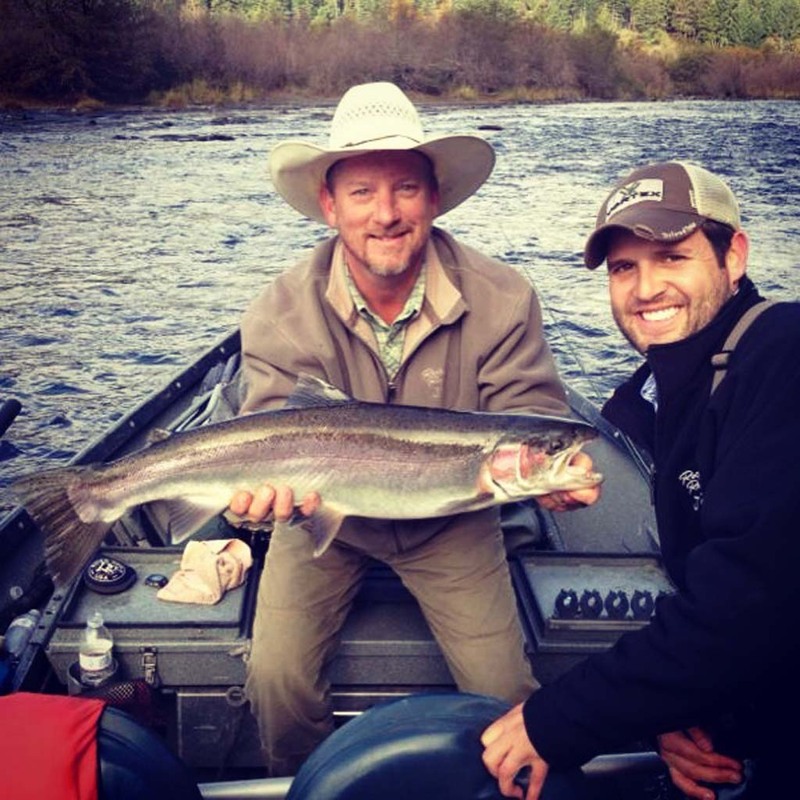 Watch as these fisherman land a powerful Steelhead on the Umpqua River. Lines need to be cleared to land this one. 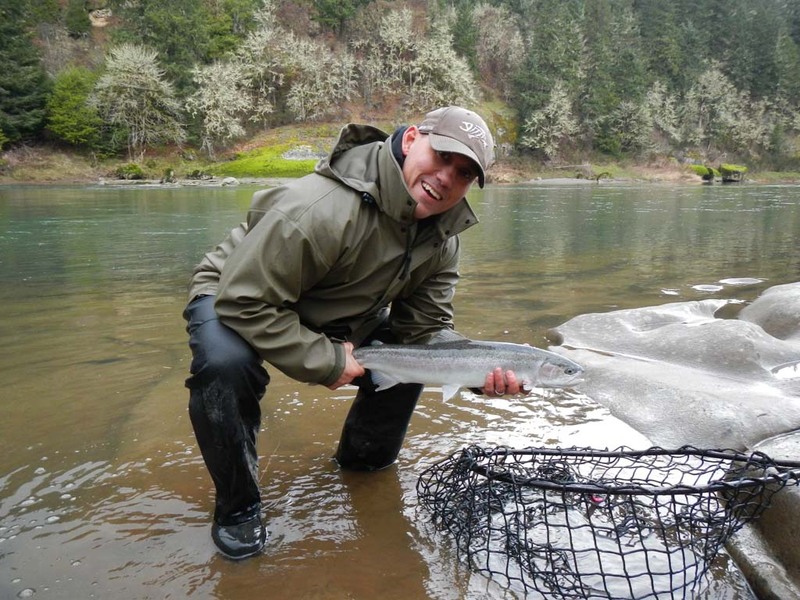 Can you guess how many times this Steelhead goes airborn?